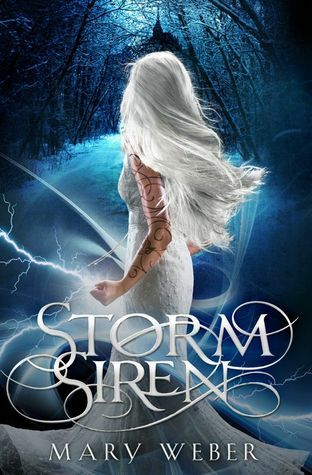 Enter to win a copy of Storm Siren, by clicking the cover image below of the book (to access the Rafflecopter app)!! The amazingly talented writer of Storm Siren was gracious enough to take time of her busy schedule to respond to my questions and queries. Just by her responses alone you can tell she is as much an amazing person as a writer. Thank you again for the opportunity to interview you, Mary Weber, I appreciate this and your talented story weaving. I hope the readers of A Bibliophile’s Reverie enjoy the interview! Till next time! 2.) Is there any particular book or author that influenced you in any way growing up or as an adult? When I was ten, a teacher gave me a copy of The Secret Garden (because the main character’s name was Mary and she and I might’ve had the whole “quite contrary” thing in common, ha!). I still have that book and it’s one of my most cherished. As I got older, I encountered the books of Stephen Lawhead, Baroness Orczy, and of course J.K. Rowling, and they pretty much rocked my world. Now as a writer, I’m still heavily influenced by those authors as well as Marissa Meyer (her heroines rock! ), Tahereh Mafi (her prose – gah! ), and Maggie Stiefvater (can I just BE her?). 3.) The characters in *Storm Siren* are so colorful and diverse. Was there anyone you had in mind when creating them? *laughs* Well, I’m pretty certain Lady Adora might be my alter ego. (My husband agrees with this, ahem.) Nym has hints of my sister (whom I ADORE) probably more than anyone else. As far as the rest, I live in a wonderfully colorful and diverse community, so the characters are bits and pieces of the beautiful people I know. 6.) What inspired you to write *Storm Siren? * Admittedly, STORM SIREN is totally might be my obsessive ode to all things Last Airbender, Joan of Arc, and superheroes. :0) Along with that, it was inspired by the teen girls I work with – by their passion and amazing hearts as well as the struggles they face, especially regarding self-image and cultural-imposed expectations. 7.) What are you working on right now? What is your next project? Ooh yes! I’m currently hashing over the plot for book 3! And let me tell you – the wraiths are being completely unruly. Sigh. 8.) Is there anything you would like to say to your readers and fans? If I could, I’d hug all your faces for being so AMAZING. Gah! I adore you!!! Also, on a more helpful note (and to quote William Goldman) – never start a land war in Asia. Cuz reasons. Thank you for having me!!!!!!! Share this: Spread the word about this unorthodox blog!! Loved the interview and can’t wait to read this!